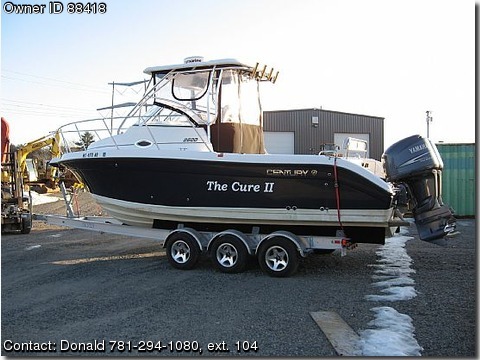 Like new, well maintained boat. Great deck for Tuna fishing or any other fishing. Professionally maintained in the off season(commission and decommission) by "The Boat Guy". Heat and A/C built in, refrigerator, propane stove, stand up head, fresh water tank, live bait well and plenty of storage. Other features include windlass anchor, Taco outrigger ready, full electonics package, including sonar and many other extras. Air Conditioning · AM/FM Radio · Anchor · Bilge Pump · C.B.